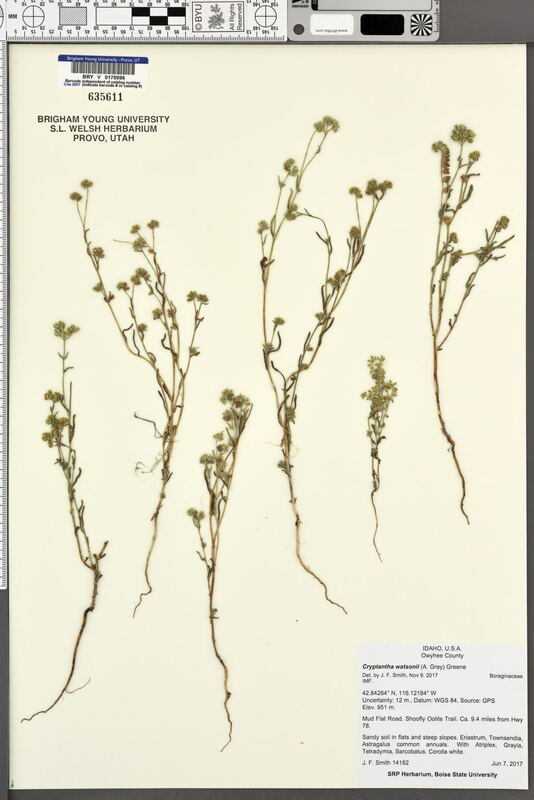 Locality: U.S.A., Idaho, Owyhee, Mud Flat Road. Shoofly Oolite Trail. ca. 9.4 miles from Hwy 78. Verbatim Coordinates: 42.84264 N 116.12184 W ± 12 m [WGS84] . Habitat: Sandy soil in flats and steep slopes. Associated Species: Eriastrum, Townsendia, Astragalus common annuals. With Atriplex, Grayia, Tetradymia, Sarcobatus.